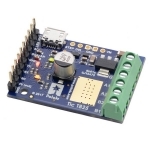 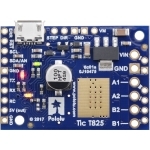 The Tic T825 USB Multi-Interface Stepper Motor Controller makes basic control of a stepper motor easy, with quick configuration over USB using the free software. 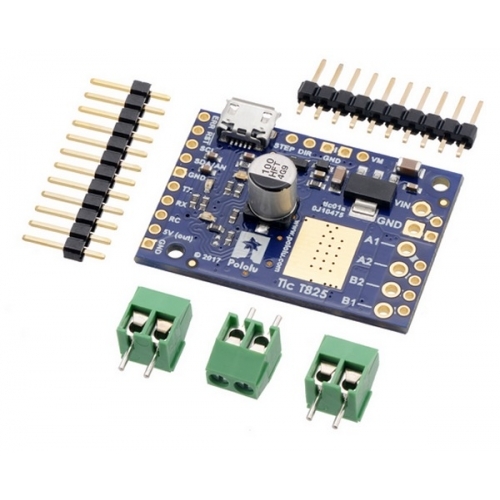 The controller supports six control interfaces: USB, TTL serial, I²C, analog voltage (potentiometer), quadrature encoder, and hobby radio control (RC). 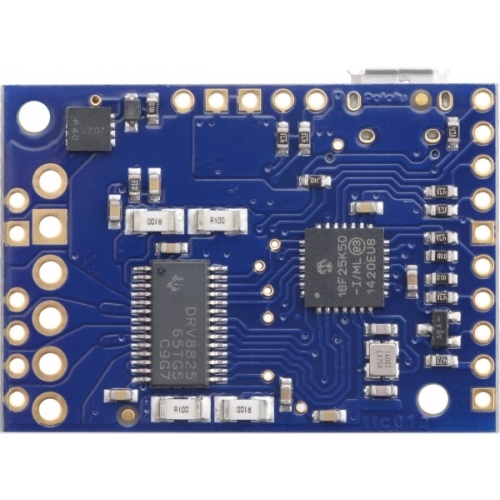 This version incorporates a TI DRV8825 driver and male headers and terminal blocks are included but not soldered. 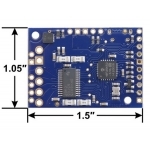 It can operate from 8.5 V to 45 V and can deliver up to approximately 1.5 A per phase without a heat sink or forced air flow (or 2.5 A max with sufficient additional cooling). 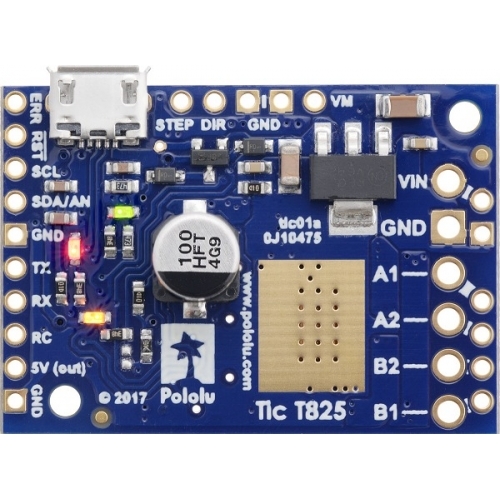 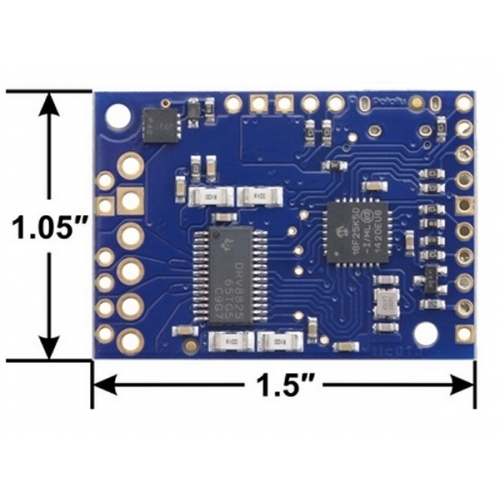 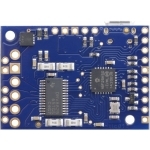 The Tic T825 USB Multi-Interface Stepper Motor Controller is a versatile, general-purpose controller designed to control one bipolar stepper motor. 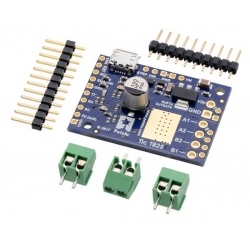 With a variety of supported interfaces–USB for direct connection to a computer, TTL serial and I²C for use with a microcontroller, RC hobby servo pulses for use in an RC system, analog voltages for use with a potentiometer or analog joystick, and quadrature encoder for use with a rotary encoder dial–and a wide array of configurable settings, the Tic T825 makes it easy to add basic control of a bipolar stepper motor to a variety of projects. 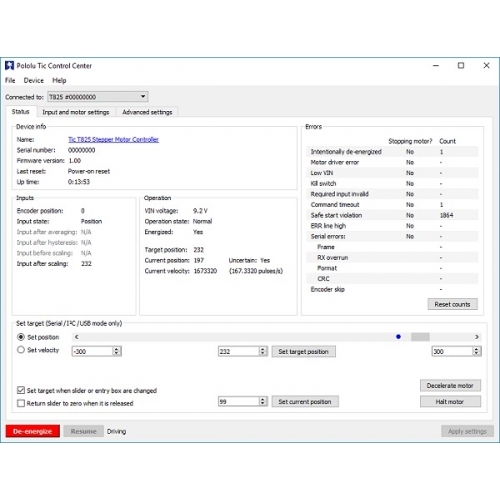 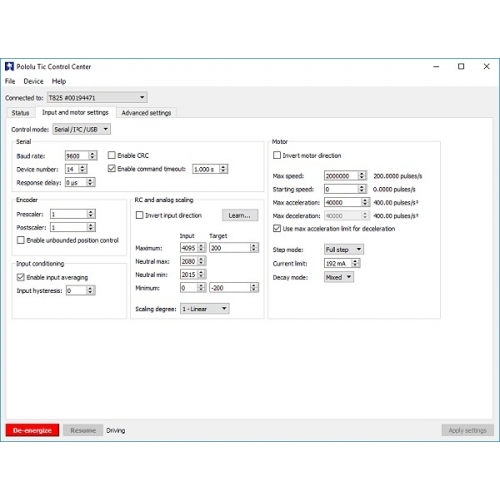 A free configuration utility (for Windows, Linux, and macOS) simplifies initial setup of the device and allows for in-system testing and monitoring of the controller via USB. 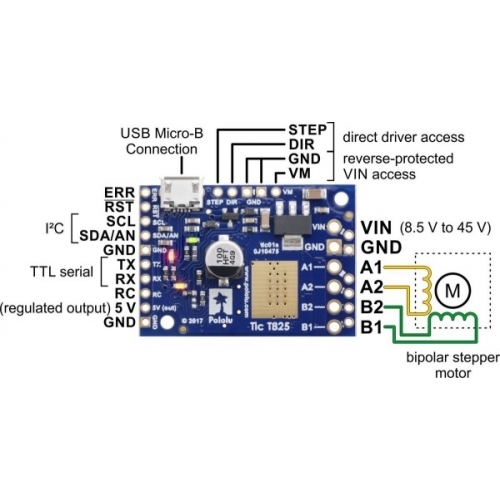 This installer contains the drivers and software for the Tic Stepper Motor Controller for Microsoft Windows.